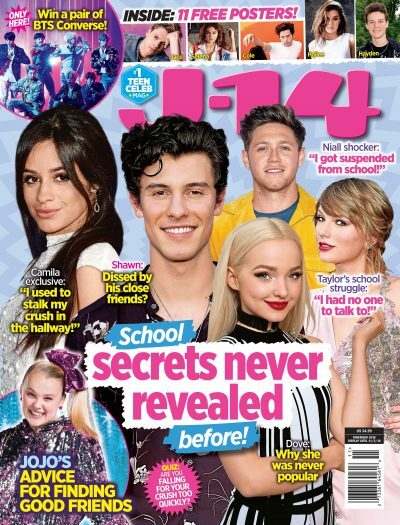 Step Up star Channing Tatum and Mean Girl Amanda Seyfried are set to heat up theaters today in the military love story Dear John, and J-14 got the dish about the movie straight from the stars and a glimpse in to their lives! Q: How was the chemistry between you two on set? Did you ever have any problems? Amanda Seyfried: The only problems really were just looking behind our backs making sure that none of us were coming around to cause trouble. Channing Tatum: I like to play some pranks on set. I think it was a real miracle that we actually got anything done cause we really – we're friendly with Lasse. Lasse is the director and you know, he just loves to like play around and I really don't know how we got anything done. He's crazy and if he let us we'd just play all day. Q: In the real world, do you feel that this type of romance and this type of love generally works out, especially with such distance between the two persons? Amanda: I think it's hard to connect when you have that much time away from somebody — it's hard to stay connected in each other's lives so that's one thing that you're really fighting. And if you lose that battle, I still think that if it's meant to be, it's going to happen, it's going to come back to you. Love is just like that all the time. I definitely think there's just that one person in the world for everybody, I don't know, it's completely possible. Channing: I think you can make whatever work that you really, really want to make work. I think it gets painful and it's really funny the things that you — with the person not being there — what it does to you. You start fighting over stupid things that you know, it's not about. All of a sudden you're having an argument about nothing and it's really just that you miss the person so much and I absolutely think these relationships can work, you just have to really want it. You can't just give up on it. Q: This movie is all about young love. Do you think this movie will relate with young people getting married earlier? Channing: I hope so, I really do. I think that this is about that first love that you have and I hope people think of their first loves and it's really important to, once you find somebody that you care about, to take care of them and hold on to them as much as and as long as you possibly can. I think that in a society today that — we're over fifty percent with divorce rates, you know — it's rare to find love and to make it work. Amanda: Especially that young, I mean, college-aged kids are finding each other and it's that whole challenge of actually realizing that this is really the person you're going to spend the rest of your life with. In our story, they met that young and it happens and it's realistic and so that love can thrive if you let it. Q: Channing, how was preparing for this role different then for other films in the past like G.I. Joe and Step Up? Channing: I think this film in general has a lot more relation to it. I read the book and there's a lot of emotion in the film and you knew that we were going to be kind of digging our fingers down in to it. GI Joe — there's not a lot of emotion. There's a lot of explosions and stuff. It was a great change of pace to just get to sit on a beach with somebody and actually look at them in the eye and have a real conversation so you know, we just did a lot of preparation. We had about two weeks to sit and rehearse and hang out with each other and get in to the vibe of South Carolina in general, which is just beautiful in Charleston. It's such a romantic city and just kind of be with each other. Q: Amanda, can you tell us about your first relationship? Amanda: It was a boy with who I was obsessed with in a way cause I thought he was a cross between Leonardo Dicaprio and Justin Timberlake — well in my eyes when I was 14. He was a senior, I was a freshman, and he wanted to date me. So we dated and I totally couldn't deal with the fact that he liked me so much that I dumped him. It was strange cause we'd go to the movies and hang out but I didn't feel like I deserved to be loved the way he loved me and it was really just teenage insecurity and I really lost a good one because he's a great guy still and I thought he was just sweet in taking a chance at somebody younger, he was about seventeen. Q: Channing, have you ever kissed anyone outside while it's raining in your real life? Channing: Well I'm from Florida and it rains pretty much all the time, so yes, everyday, for sure! Everyday after school like 2:30, 3o'clock it's raining. Are you going to see Dear John? To win a copy of the soundtrack, click here!